Six RankingHero members will each win £100 in chips and will get to test their killer moves against Lucille & Pedro at the £1/£2 NL Texas Hold'em feature table @Aspers Casino - Westfield Stratford City on April 3, 6 pm! Who was your first cash game mentor or role model? A few French players like Gabriel Nassif and some people from the Winamax team. What do you like best about cash games as compared to tournaments? Well, to be honest I'm almost exclusively a tournament player so the only advantage I see is that you get to leave when you're not playing at your best. I really like the fact that you can build a real history with opponents you play every day with, both online and live and use it to induce a lot of mistakes. When you sit down at a cash table, do you usually buy-in for 100 BBs? What are your rebuy rules and how good is your bankroll discipline in general? Always 100bbs or more. I rebuy as long as I play my best and the table is profitable. I always had great bankroll management. I lack discipline everywhere else though. I always sit down with at least the same amount as the chip leader of the table, except if I think he is better than me. In that case I buy in for the same amount as the second chip leader, and so on. Every time I have to rebuy, I try to ask myself "Is the table profitable?" If the answer is yes, I reload. If not, I come back later, not a big deal. What’s the biggest pot you’ve ever been involved in? It was a year after I started playing. I was at the Aviation Club de France in Paris. I had KQs and JJ against me. I don't remember the exact action but it was very badly played on my part, I can tell you that. It was a 10/20€ PLO live Cash Game in Paris around 4 am. I won a 3-way pot for €32k. For the first time in my career, my hands were shaking when I collected the pot because I realized that this amount was a full year salary when I was a salsa instructor 2 years earlier. Which do you hate more: having your bluff called or getting bluffed? Having my bluff called, definitely. It implies more mistakes on your part than the other one. Which do you like more: spotting tells of your opponents or using false tells to trick them? Using false tells. Being a woman makes it very easy and efficient. Spotting tells is something I have been working on a lot the past few years, especially with Davidi Kitai. It is very tricky and dangerous, but it’s worth the work. Lucille, what should people know about Pedro’s playing style? What distinctions would you give him? Pedro is a very aggressive player. I'd give him shark, creative play and instinctive. Pedro, what should people know about Lucille’s playing style? What distinctions would you give her? Lucille is what I call "a serious tight clever player"
It means she knows perfectly how to play by the book but she also knows when to profitably change gears and become more loose aggressive. I would give her "creative play" and "the rock"
Which is your favorite distinction on RankingHero? "Fearless" - I think it is what describes me best. What’s the sickest poker variant you’ve ever played? Have you ever tried your hand at Sviten Special or Triple-Board PLO? I have no idea what those are! I'm afraid I'm a boring NLHE / Omaha kind of girl. I do love Chinese pineapple, though. Never. 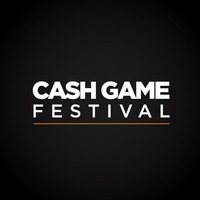 But I definitely will at the Cash Game Festival. What’s your message of advice or warning to your opponents at the Cash Game Festival feature table?.. Don't try to impress anyone. Keep your ego in check. I think fair play is the most important thing in every competition and it is also really useful to keep calm.